This weekend I was with some friends and the issue of the best chocolate chip cookie in New York came up. Since we were on the upper west side at the time I pointed out that four of the top 20 were withing walking distance. I recommended a tour of Alice’s Tea Cup, Levain and Jacques Torres which are all within 3 blocks of each other – you could add Silver Moon Bakery to get some additional exercise in prior to the tasting. 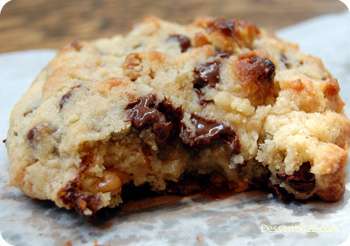 West Seventy fourth (and 73) street really is a corridor of gourmet chocolate chip cookies. All of these cookies made it into the Dec 2009 Serious Eats “Best chocolate chip cookie in New York” round-up. I included a photo of the Dessert Truck works cookie (above) even though it’s nowhere near the Upper West Side because it didn’t exist when the Serious Eats feature took place and I would have ranked high. Dessert Truck Works is located on 6 Clinton Street. Their website is here. Levain Bakery now has 2 locations in the city (167 W 74th and 2167 Fredrick Douglas Blvd) as well as one in South Hampton. Their website is here. Jacques Torres now has 5 locations in New York City. Their website is here. Silver Moon Bakery is located at 2740 Broadway at 105th St. Their website is here. Alice’s Tea Cup is located on 102 West 73rd Street. Their website is here. A chocolate-chip cookie crawl. I like it. 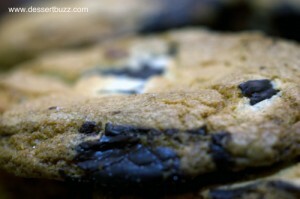 Wow, I’ve been on a quest for the best cookies in NYC and heard so much about Levain. I can’t wait to check it out! @ Victoria – we should totally do that. 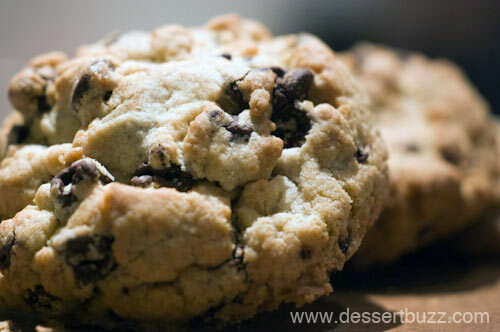 @Andrea – you can’t go wrong with a Levain cookie – just make sure you have some friends to share it with. unrelated: “tasting” typo, not tatsting. sorry! It’s the ocd in me.